Show a little shoulder. 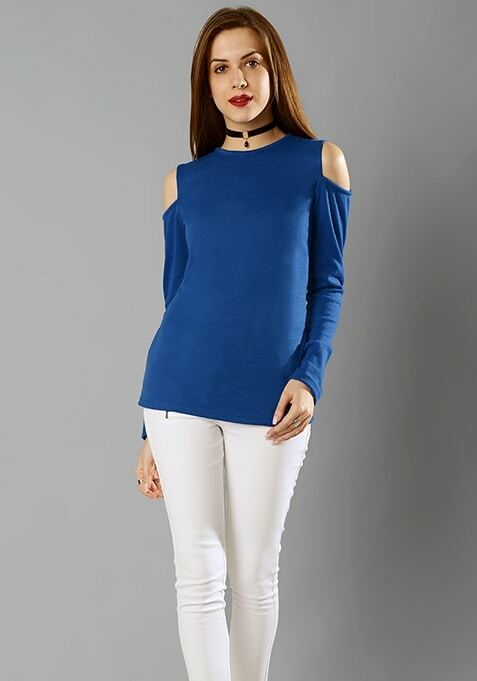 This blue Cold Shoulder Cardigan is made in a soft knit fabric and features an off-the-shoulder design with full sleeves. Work It - Pair it with a skater skirt and ankle boots.